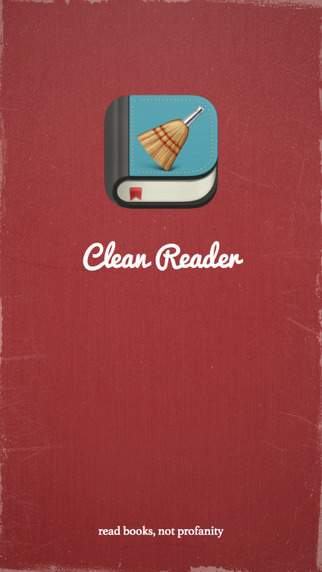 I find the reaction to the Clean Reader app rather amusing. The app was created by the Idaho parents Jared and Kirsten Maughan who were concerned that their daughter had read a book with words that made her uncomfortable. The app is available on Apple and Android, and it works on a scale from “Clean”, which replaces swear words such as “f***” to “Squeaky Clean” which will replace words including “damn”. It does not remove any words from a digital file, rather it puts an opaque highlight over the word. The app can be turned off so that the reader can consume the book exactly as it was written. On this basis, the creators claim that their app does no violate copyright because it doesn’t make changes to the file which contains the book. Some authors have gone ballistic. I’m pretty relaxed about this, and I don’t see this silly app as the “sharp end of the wedge” of a new drive for censorship. I think Western society is liberal and mature enough not to get all upset about the use of the f-word. After all, it’s used on day-time soap operas, and, if one listens carefully, is part of the vocabulary of the average twelve-year-old. As an author, I don’t use swear words in descriptive text, because I think that there are alternative adjectives and adverbs that better express the picture I’m trying to convey. But I certainly have put the f-word into the mouth of a character when his use of the word tells the reader something about him (or her). (Real people do use profanity).